My mashup of Three Dog Night, The Beatles and Henry Mancini, among other elements. great as usual!!! love it! faved this when this was on fa. 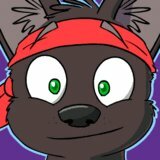 I remember RrowdyBeast ( https://inkbunny.net/RrowdyBeast ) faved this when this was on fa.